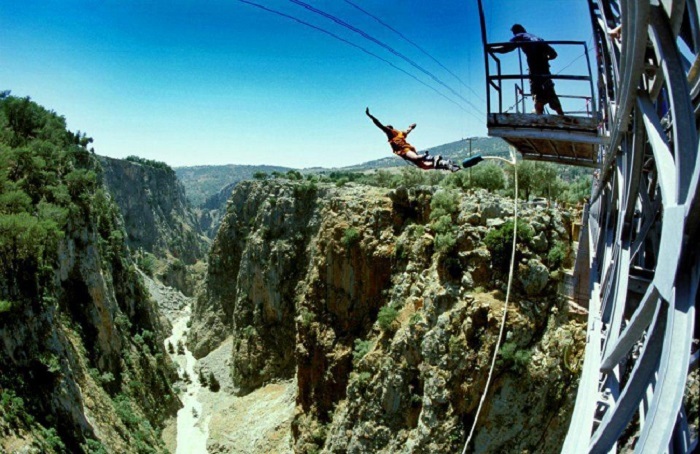 At weekends during the summer months of June, July and August, Bungy Jumping over the canyon of Aradena is organized in south west Crete. The metal bridge of Aradena connects the two sides of the gorge Aradena in the district of Sfakia on the south coast of Crete. It is 138 m to the bottom, making it the highest Bungy destination in the Balkans and the second highest in Europe. 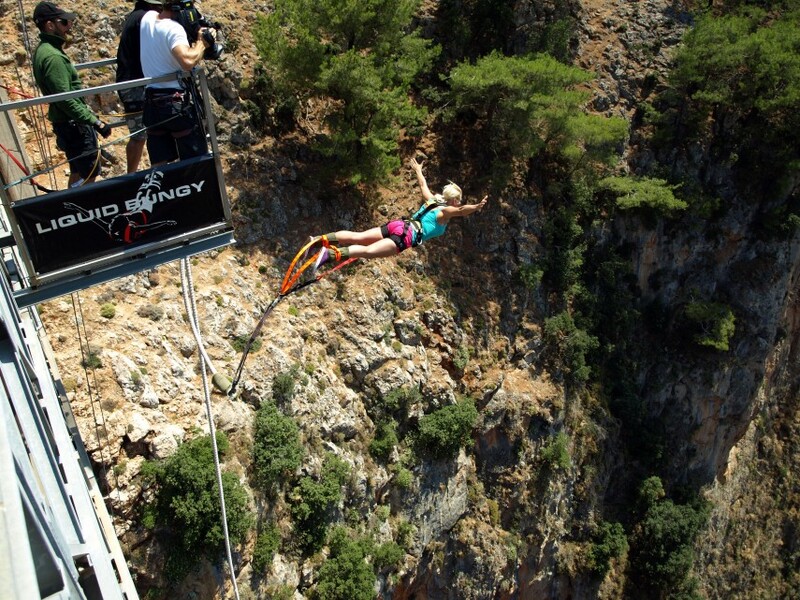 Continue reading here with the promoters Liquid Bungy team (http://www.bungy.gr/index-en.html) where you will get all possible information, videos, photos etc.